‘Failed to connect using both WebSockets and HTTPS’ error when logging in to Reckon Accounts Hosted. I’m getting ‘Failed to connect using both WebSockets and HTTPS’ error when trying to login to Reckon Accounts Hosted. I’m also getting ‘Not Secure’ warning from the browser. Or ‘Your Connection to this site is not secure’. 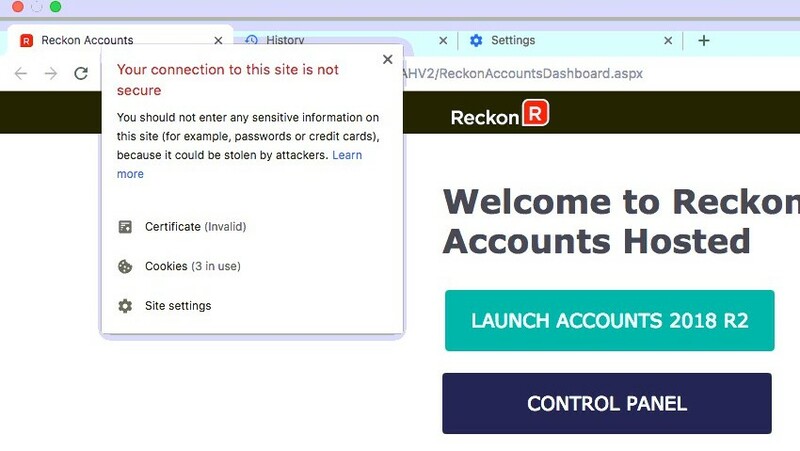 The Security Certificate used by Reckon Accounts Hosted may be corrupt. Delete the certificate and try login again. Security Certificate are used in Accounts Hosted to secure the communication between the end user and hosted servers. this Security Certificate is issued by Comodo Security solutions inc. It is possible that this certificate may have been corrupt or incorrectly installed, resulting in the failed connection. Please delete this certificate and try login again. 1) Go to start menu and type Certmgr.MSC in the search box and hit enter. 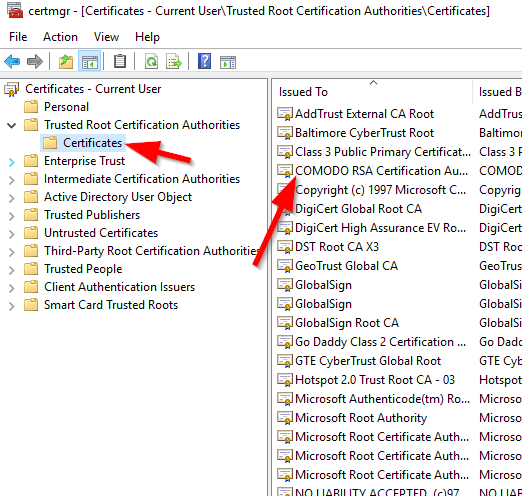 2) It will open the Certificate manager tool. 3) You will be able to view all the certificates installed on your PC. 4) Navigate to ‘Trusted Root Certification Authorities’ and double-click to expand it. 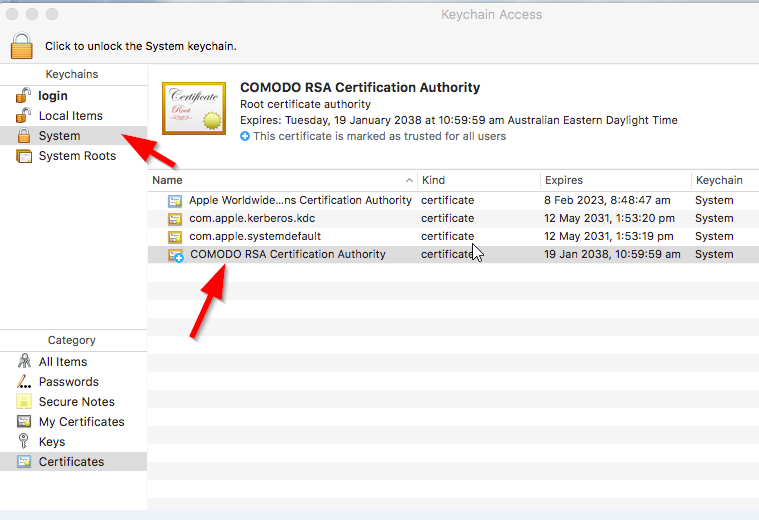 6) Select COMODO RSA Certification Authority from the list. Right Click on it and select Delete. 7) Select Yes to the confirmation prompt. 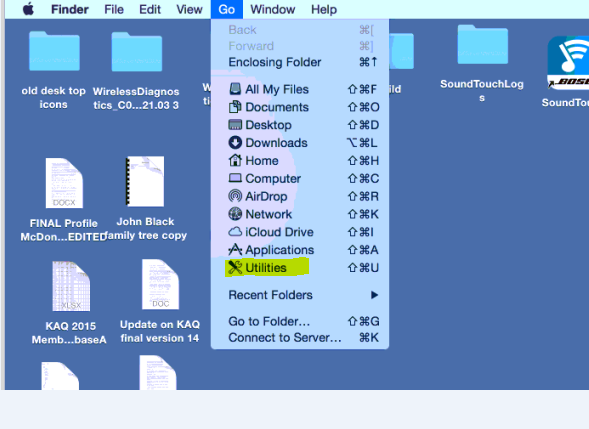 4) Right click on it and select Delete to delete it. This will now delete the security certificate from the PC. Next time when you log in to Accounts Hosted, the certificate will automatically download and install. Try login to Hosted again. You should not see the same error message again.